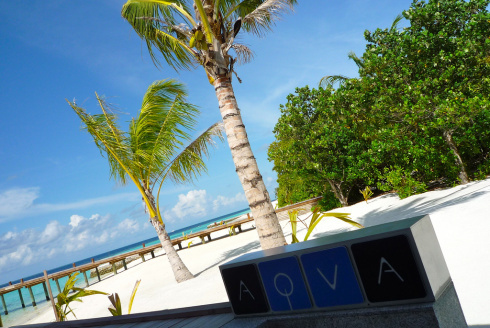 View from the Aqua Bar at Lily Beach Resort and Spa at Huvahandhoo, Maldives in the South Ari Atoll. Some days, I wished I lived a lot closer to Maldives. This is one of those days. Photo from Bjoern Ognibeni’s Flickr account.